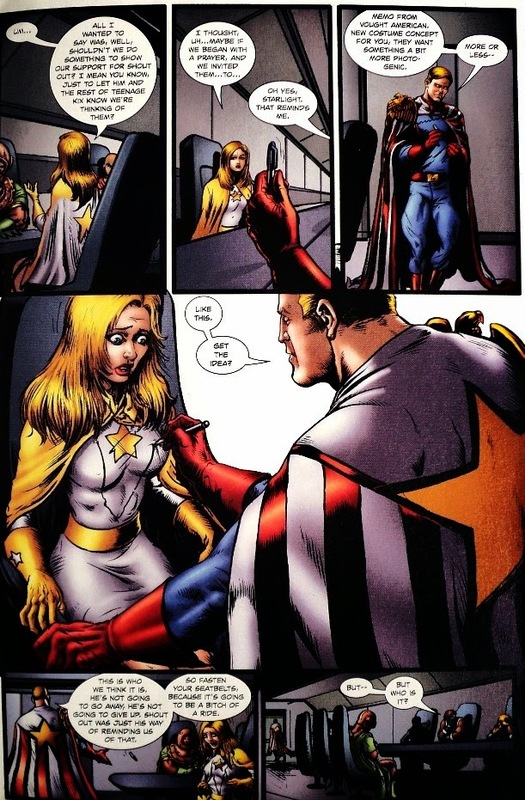 I'm struggling to locate a comic panel in which a teen girl in casual clothes is being offered her choice of superhero costumes by an older teen girl. She's appalled by the first choice (some sort of skin-tight leather outfit with incredibly high-cut legs and a very revealing neckline, kinda like Psylocke's) which she clearly feels is overly sexualised. She says something like "I am not wearing THAT in public!". Later on the page she settles on a more modest costume. Firestar did this. She was taken out of her normal outfit and given a revealing costume that she kinda freaks out about. 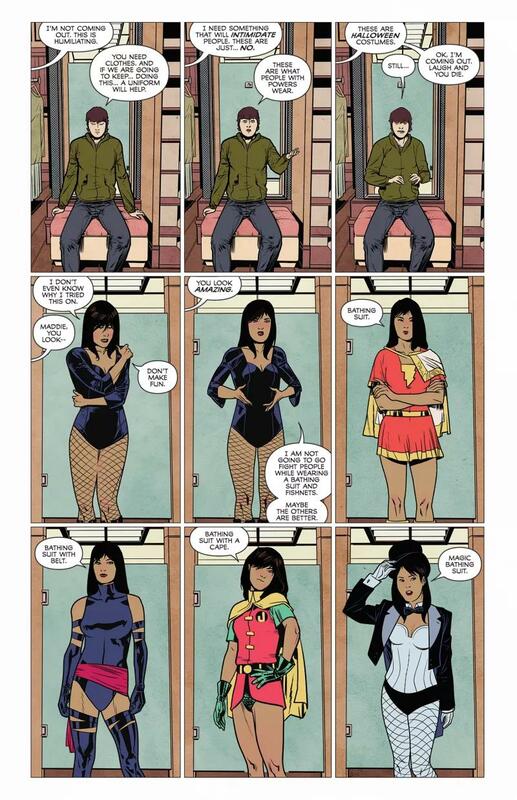 Not likely to be what you are thinking off, but the pornographic webcomic Curvy has "Costume Designer Man" design an outfit for "Slurve" that she does not appreciate. 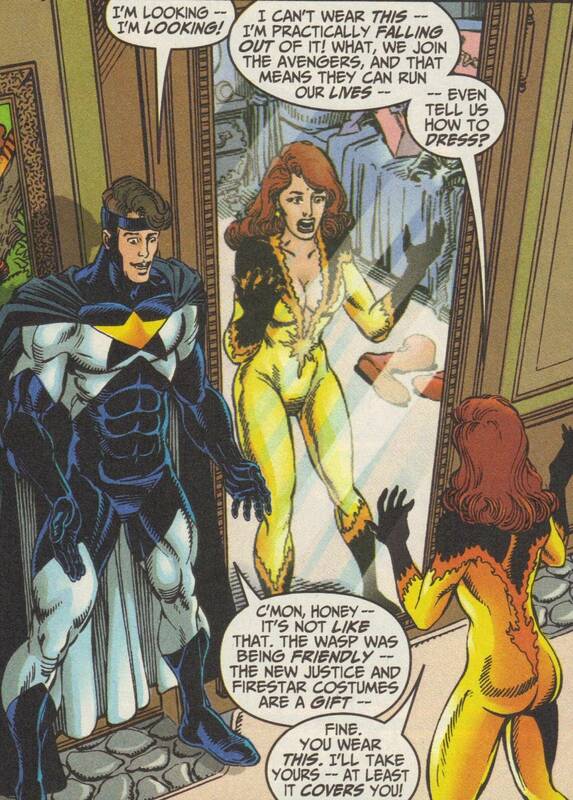 Just to run down the list, could it be where Illuminia offers a slingshot bikini to Val, aka Sidekick Girl, in this comic? 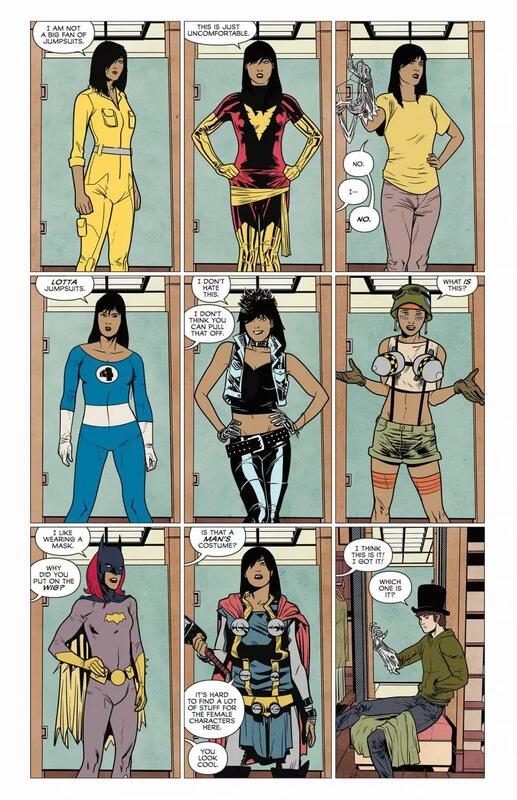 Could it be the costume tryout montage from the comic We Can Never Go Home? Not the answer you're looking for? Browse other questions tagged story-identification comics x-men or ask your own question. 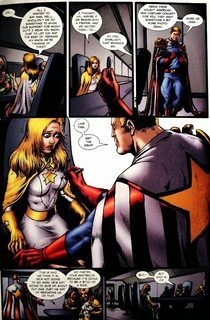 What is the first occurrence of a pre-teen female superhero in comics?